The Savior can heal us — emotionally, physically, mentally, and spiritually. In this insightful talk on CD, Sister Dew and Sister Nelson teach us how to receive God's help in making meaningful change and understand the power of the Savior to heal without a scar. I have listened to this talk many times since purchasing it. And I will listen to it again and again. It is wonderfully engaging in its presentation of gospel principles and the hope that comes through Jesus Christ. 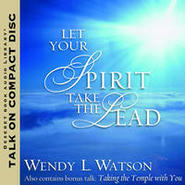 I have felt the Spirit strongly while listening and my knowledge, understanding, and testimony have been strengthened. I am so grateful to Sr. Dew and Sr. Nelson for sharing their experiences and their inspired teachings. 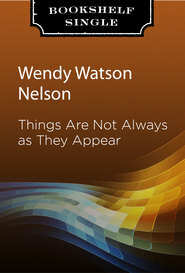 The talks given by Sisters Dew and Nelson offer the hope of healing, each in her own inimitable way. I love this CD! I have listened to it many times. I love how both sisters are able to convey this message in a way that gives me hope. Their personal stories they share make this message so accessible. Thanks! I received this CD for Christmas 10 months ago and have probably listened to it at least 12 times. Every time I hear it, something new stands out to me; something that I need to learn. It's inspiring, moving and simply remarkable! This is the most inspiring talk that I have heard on CD for a long time. I have listened to it several times and have found courage to do things in my personal life that I have needed to do for a long time. I highly recomend this for all sisters who need some uplifting encouragement. Those associated with Sheri Dew, keep good insurance or a DSL to Heavenly Father. I was apprehensive about buying this talk and more apprehensive about writing a review. I always enjoy Sister Dew, do not know Sister Nelson. 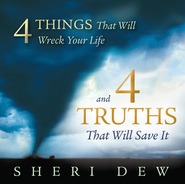 I'll bet Heavenly Father must smile at some of the situations Sheri gets herself into. She nevers lacks for new content. When I received the CD I read the bio on the back. I asked myself what makes Sister Nelson so special? I read 'married Elder Nelson in 2006'; that had to be it. With a roll of my eyes and a sigh, I inserted the CD. Sheri has taught me the five L's in my life. Listen, Learn, Lament, because you did not Listen,and Learn. So many times the Spirit has told me 'stop prejudging. Well, I was so engrossed in the Sister Nelson escapade (notice it was with Sheri) that I was late for work. I sat in the parking lot completely entertained. 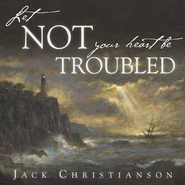 I learned we must trust in the Lord and have faith to depend upon Him no matter where we are. I sadly, unlike Sheri, would have gone for immediate help instead of returning to Utah and, I would have been wrong. Heavenly Father really is mindful of us and all of our situations. By not purchasing this CD you do yourself a diservice. Sheri beats any reality show around. The best part of this talk is the spiritual lesson. If listening the spirit will tell you what you need.